A major part of Lighthouse's work at Brighton Digital Festival this year is centred on the work of game designers and artists, Hide&Seek. 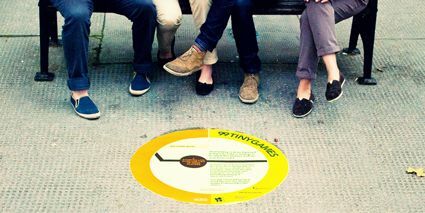 We are bringing Hide&Seek's Tiny Games - games designed on digital networks, that are located in urban space - to Brighton. Tiny Games are a collection of very small, very quick-to-understand games. They're able to sit in the real world, inviting participation from any interested passer-by. Their rules can be summarised in just a couple of sentences. They sprang initially from two conceptual challenges: was it possible to fit a complete game into the 140 characters allowed by Twitter? And what sort of game could we make for an outdoors space that could run over the course of a month with no moderation, and no equipment provided on-site? The rules are all quick and simple and each game takes almost no time to play  anyone can play, anytime they want. Players will be tested on everything from wits to creativity to cooperation to determination, all within immediate reach of their home, workplace, or favourite pub. 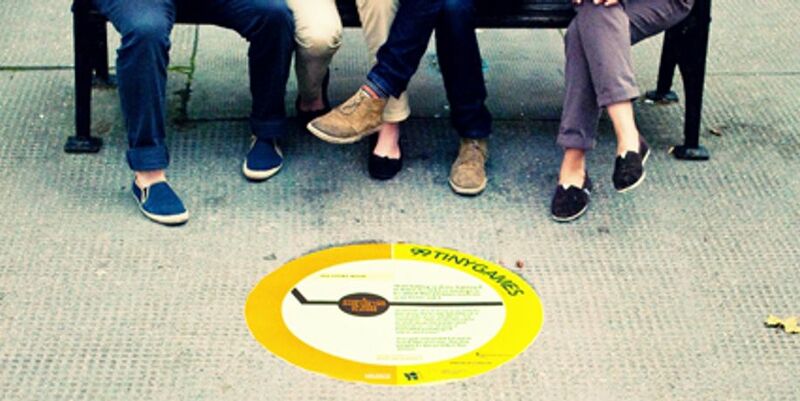 Tiny Games will be sited in the centre of Brighton throughout September.